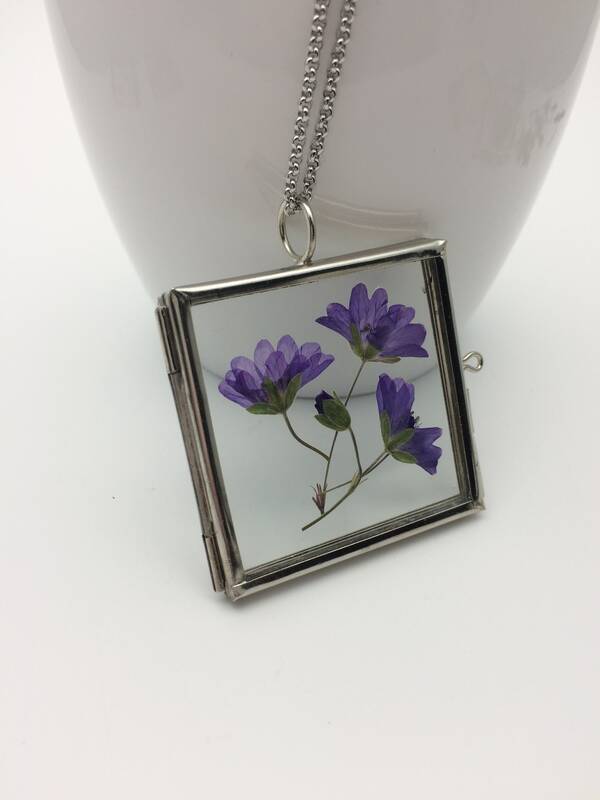 Silver Flower Square Locket Necklace Glass frame Purple Real Dry Pressed Flowers Botanical Plant Wildflower Jewelry handmade natural herbarium boho pendant. 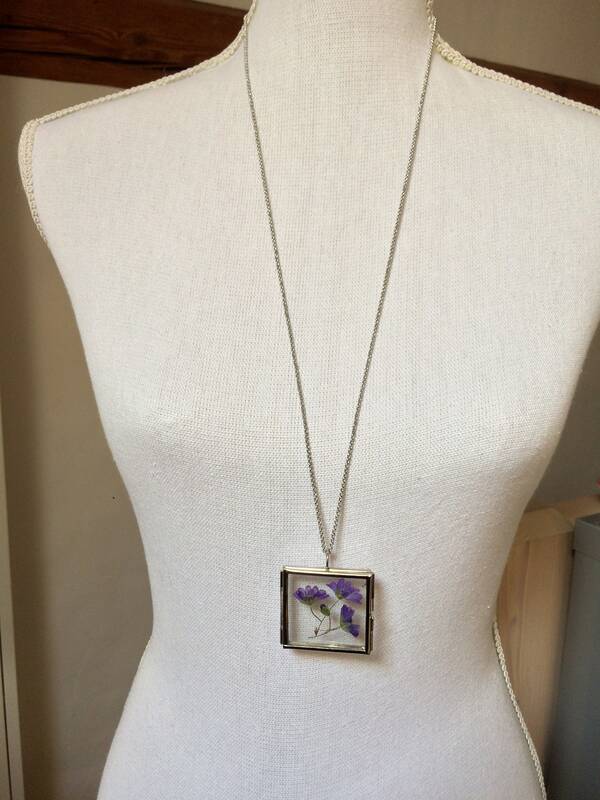 Hypoallergenic surgical steel necklace. 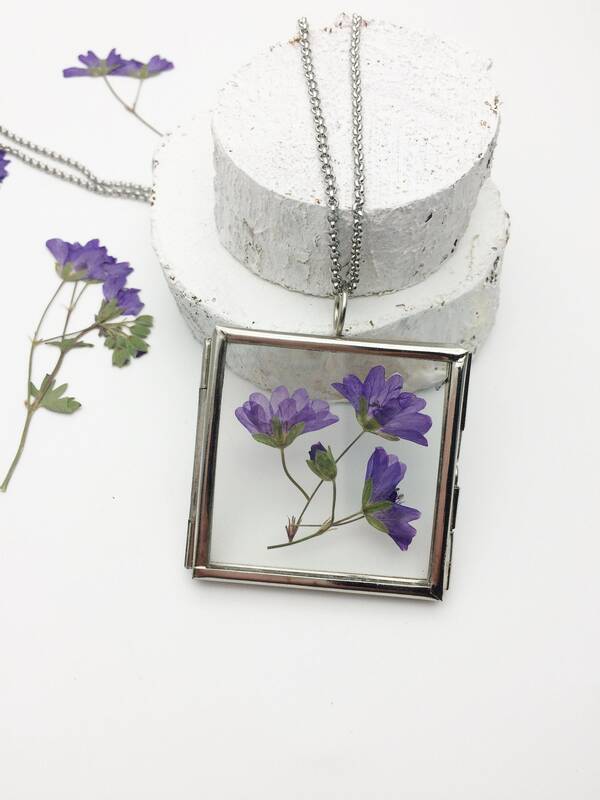 I made the pendant with real purple flowers - wildflowers picked close to my home in the countryside :) I pressed and dried the flowers and I put them in a pendant square locket made of glass and silver metal, combined it with a 316L silver stainless steel chain with lobster clasp. I later closed the locket. It can be opened but I do not recommend it, because the flowers are fragile and even if they are well fixed, they could fall or be damaged. 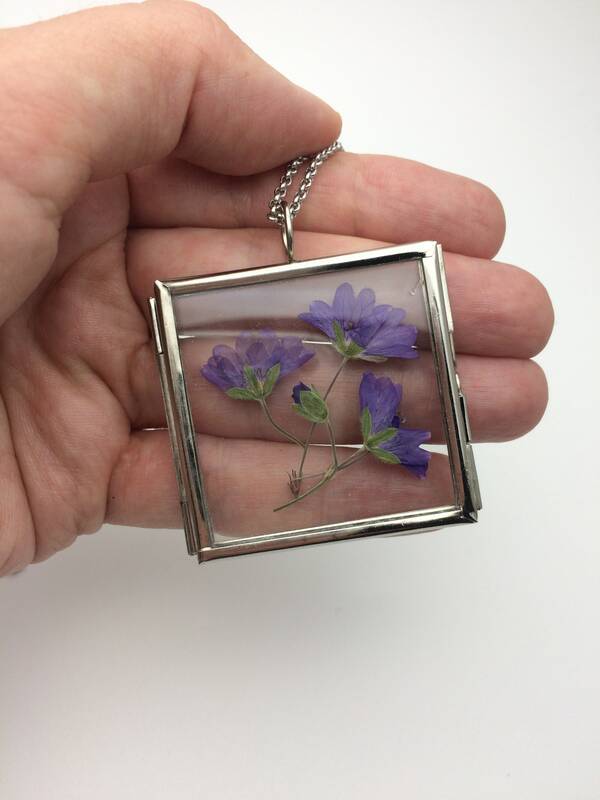 Size of the pendant: about 40 mm side (50 mm with bail). Length of the chain: 80 cm / 30 inches. If you wish, the chain can be shortened. All you need to do is leave me a message when shopping in the blank space "message to the seller" and indicate the chain length you want. On the photograph, the mannequin wears a 30-inch chain. 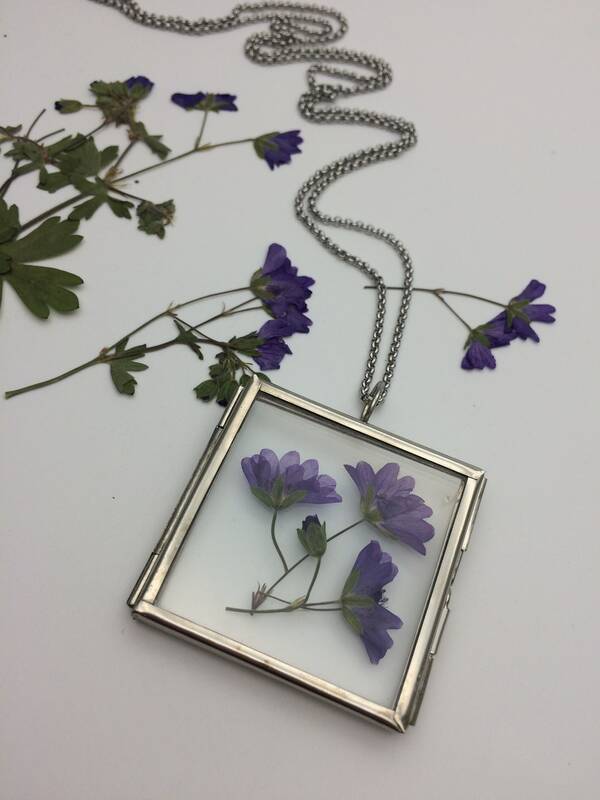 The floral necklace is a little heavy (about 30 grams). It can also be used as decoration, on a wall for example. CHAIN : Stainless steel (surgical steel 316L) don't tarnish, rust, or fade. It will not discolor your skin. This material is hypoallergenic and very durable. 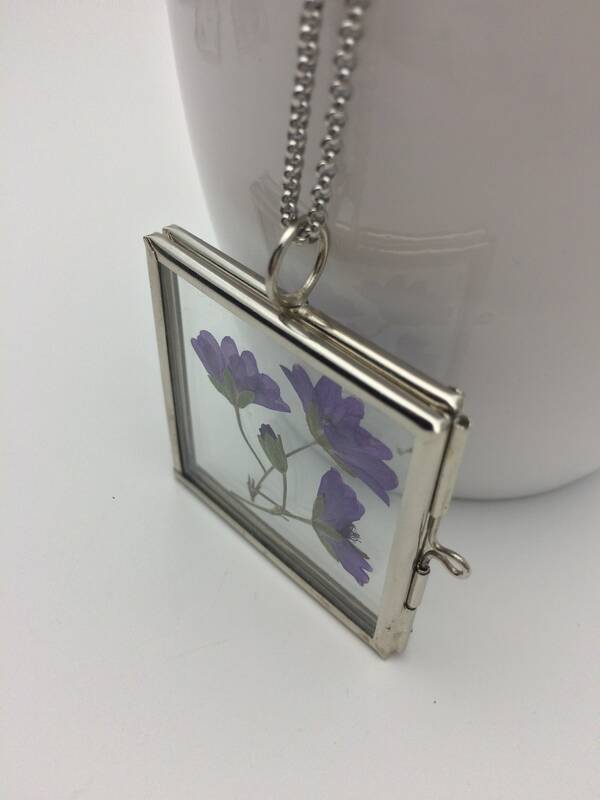 This item is shipped from Switzerland via Standard Priority Mail without tracking number and will be shipped within 3 days after your purchase. You can pay extra to receive a tracking number for your order choosing the option to upgrade your shipping. I'll do my best to meet these shipping estimates, but cannot guarantee them, shipping is out of my control. Please make sure that your address is right before placing your order. Please check my shop policies before you make your purchase and feel free to contact me if you have any questions or requests. Once I receive your order, I will send you a confirmation. Please pay for your purchases as soon as possible. If payment has not been received within three days I will unfortunately have to cancel your order. I need about 1 to 3 days to prepare your order after your payment. The orders are sent in Standard Priority Mail with Swiss Post with no tracking number. You can pay extra to receive a tracking number for your order choosing the option to upgrade your shipping. Please make sure that your Etsy address is right before placing your order. 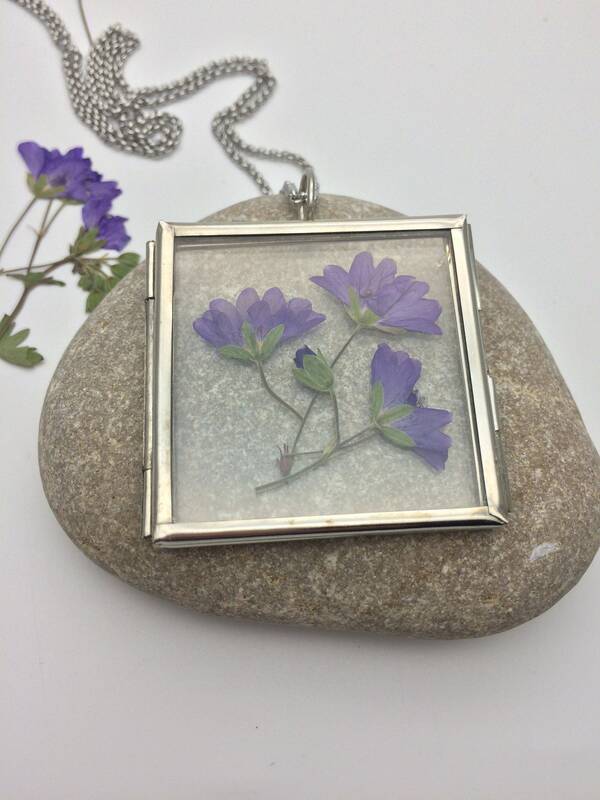 My items are made with a lot of care and and my goal is for my clients to be satisfied. I describe all items as accurately and with as many details as possible. Please check all item descriptions carefully before purchase. If, for any reason, you are not pleased with your purchase, please contact me and I will do all I can to make sure the problem is resolved and you are happy with your purchase. I will exchange or refund items returned within 7 days of receipt provided they are in their original, unworn condition. Contact me to confirm the return procedure. Refund does not include shipping charges. The buyer is responsible for the charges of the return shipping. No refunds for custom made orders and sales. The indications given for any item are as accurate as possible. The color of pictures may be different from one monitor to another. The pictures representing the items serve for reference purpose. 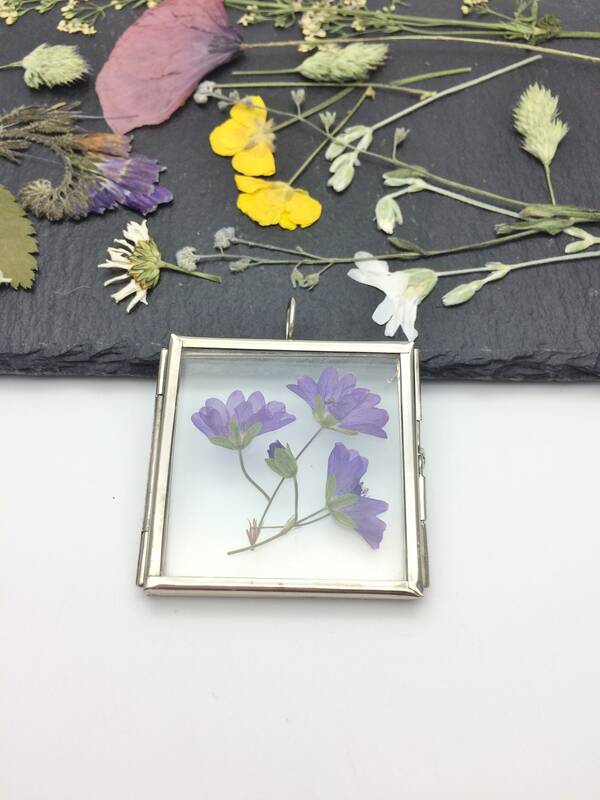 Pictures of the objects I created are my property. If you want to use them, please contact me beforehand. Some of my jewelry is made with brass, steel and other materials. I try to use hypoallergenic materials as wood, ceramic, shell, etc. Some of them have semi-precious stones. Some jewelry is gold plated on brass or on steel. Please note that my jewelry and ornaments are not for submerging in water. That said, it doesn't mean you can't go out in the rain or anything- that's fine, but please do not wash or submerge! Don't use perfume, lotions, don't sleep, take a shower or a bath with them. Clean the piece after use with a soft dry cloth to remove dust and natural skin oils that can damage the metals. 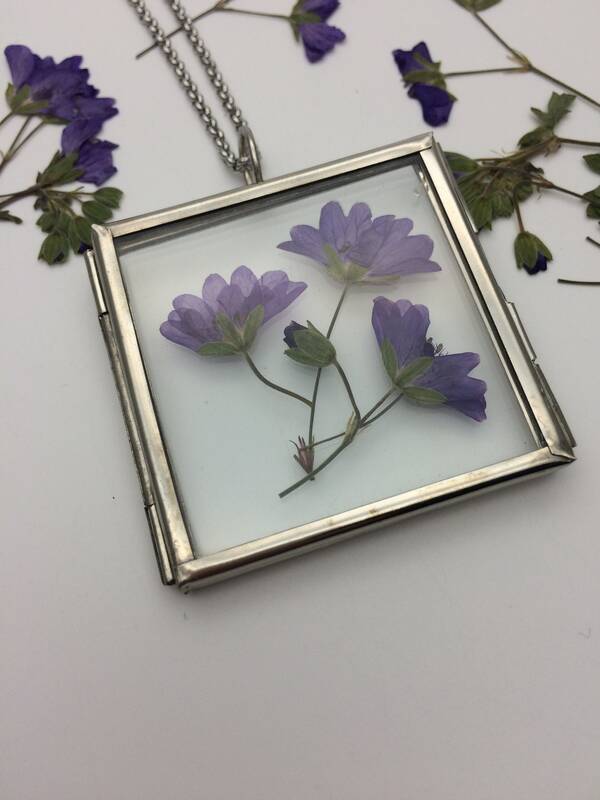 Store jewelry away from sunlight and if possible in a jewelry box while not in use - direct sunlight can discolor the piece and oxygen is known to oxidize almost everything on earth. Humidity and dust can oxidize metal, but it is easy to clean it with special products and give it back the brightness of raw brass. It works also with water and soap, then dry gently with a soft cloth. To clean raw brass my best advice is toothpaste to brush your jewel, rinse and dry with a soft cloth. It will keep its shiny gold aspect ! TITANIUM and STAINLESS STEEL are hypoallergenic. These metals are strong, they will not rust or tarnish and they don't change color. They are easy to care with soap and water. When plated, they need the same care as plated jewelry. For purposes of EU data protection law, I, Ariane Berton owner of ArtyAri, am the data controller of your personal information. If you have any questions or concerns, you may contact me at : artyari.creation@gmail.com. Please note that my jewelry and ornaments are not for submerging under water. That said, it doesn't mean you can't go out in the rain or anything- that's fine, but please do not wash or submerge! Don't use perfume, lotions, don't sleep, take a shower or a bath with them. Humidity and dust can oxidize metal, but it is easy to clean it with special products and give it back the brightness of raw brass. To clean raw brass my best advice is toothpaste to brush your jewel, rinse and dry with a soft cloth. It will keep it's shiny gold aspect. TITANIUM and STAINLESS STEEL are hypoallergenic. These metals are strong, they will not tarnish if not plated. 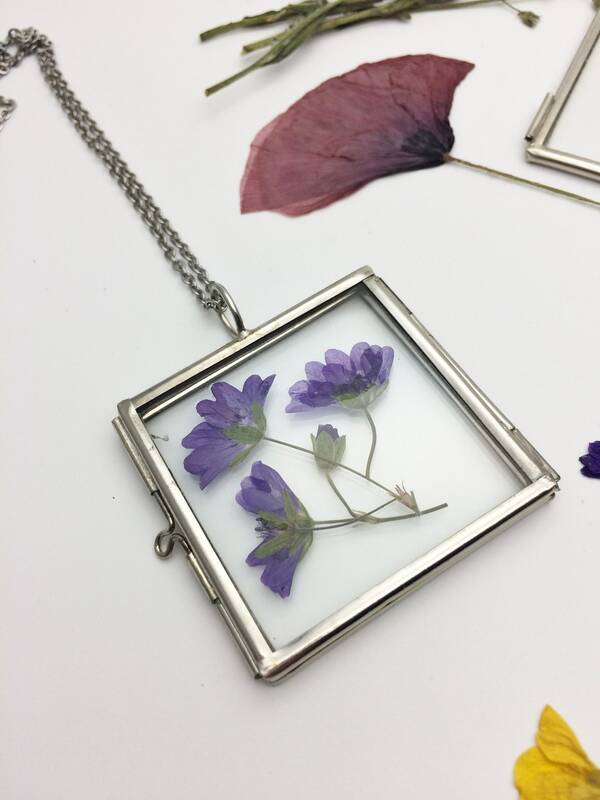 If they are plated they need the same care as other plated jewelry.